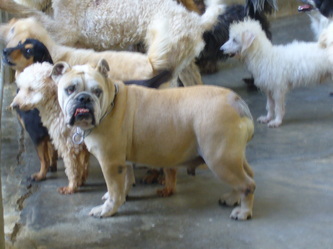 _These 6 puppies are going to be big dogs. 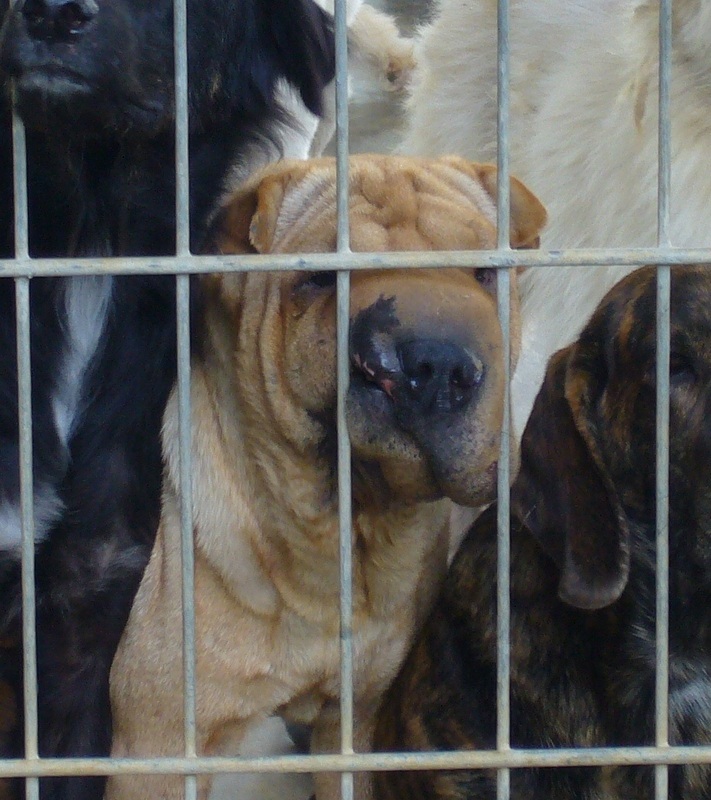 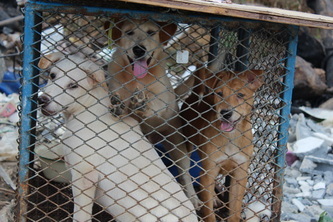 One of them looks like a golden retriever, 2 have ridged backs and 1 has crooked front leg (2nd from last). 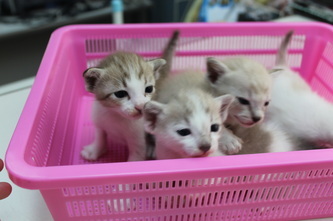 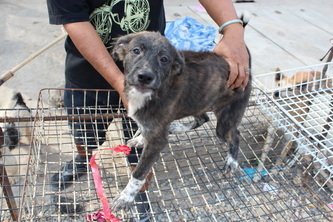 They are neutered and vaccinated. 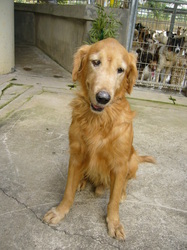 No.1: Male, Cream Color, looks like a Golden Retriever. 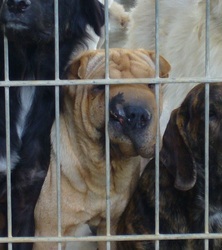 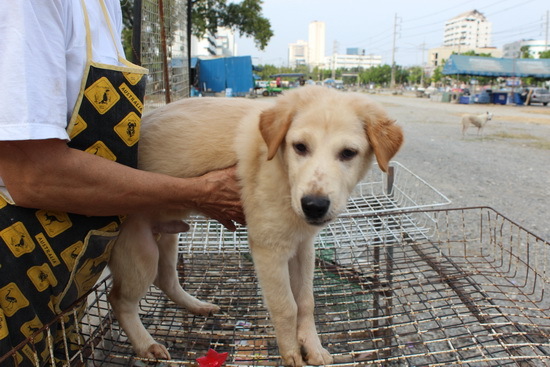 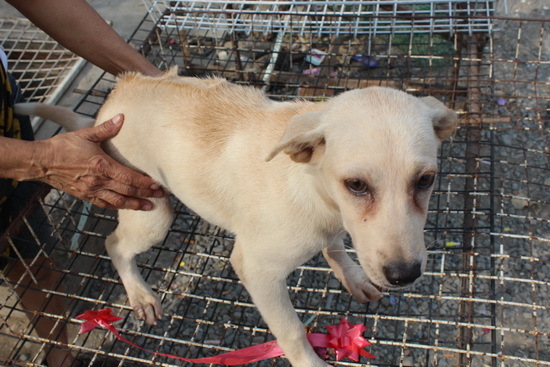 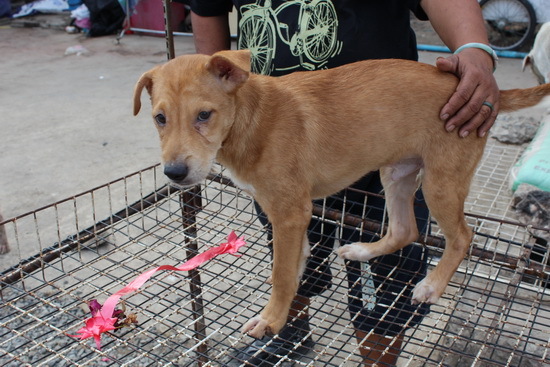 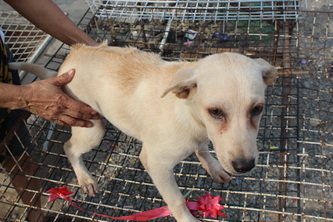 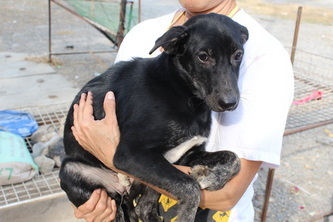 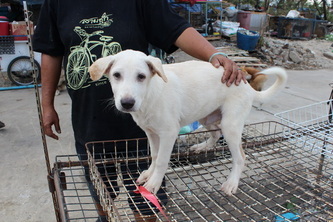 No.2: Male, off white color, looks like a Labrador Retriever. 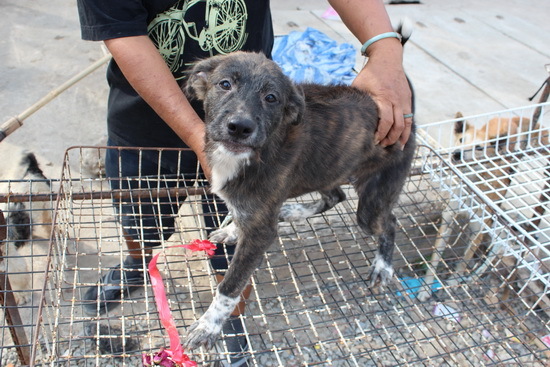 No.4: Female, gray brindle coat, ridged back. No.5: Female, cream color, ridged back. 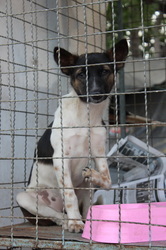 2 pups black&white and tan&white. First pup on the left (black&white) has on crooked front leg. 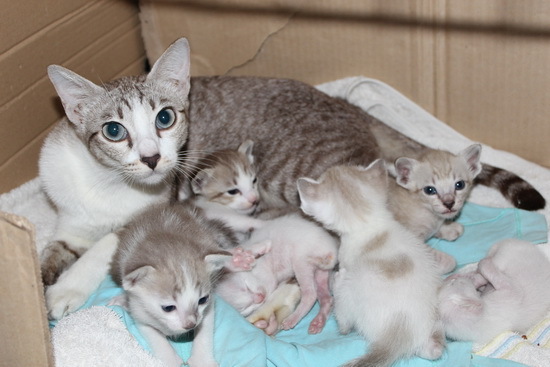 This kind mother has 4 kittens of her own. 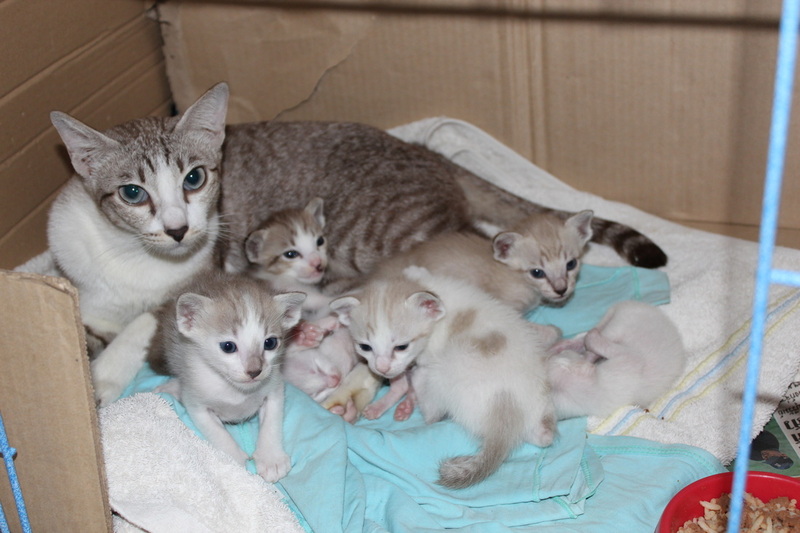 She adopts 2 white kitten whose mother has died. 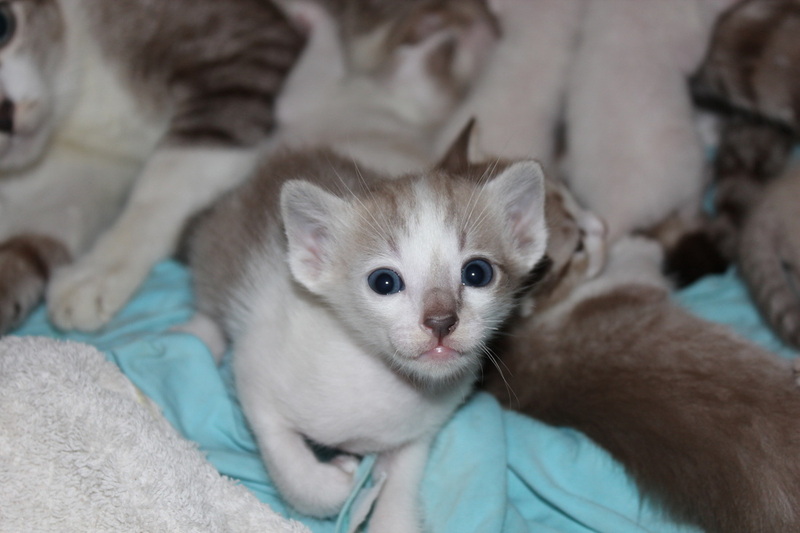 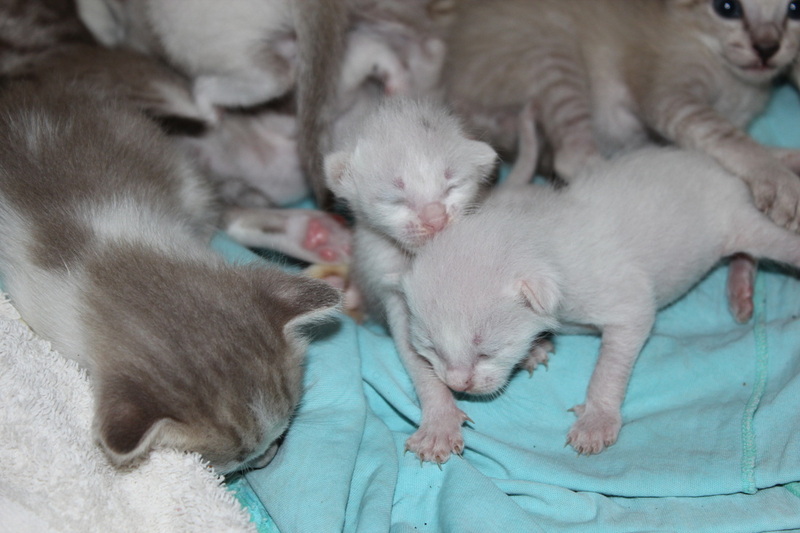 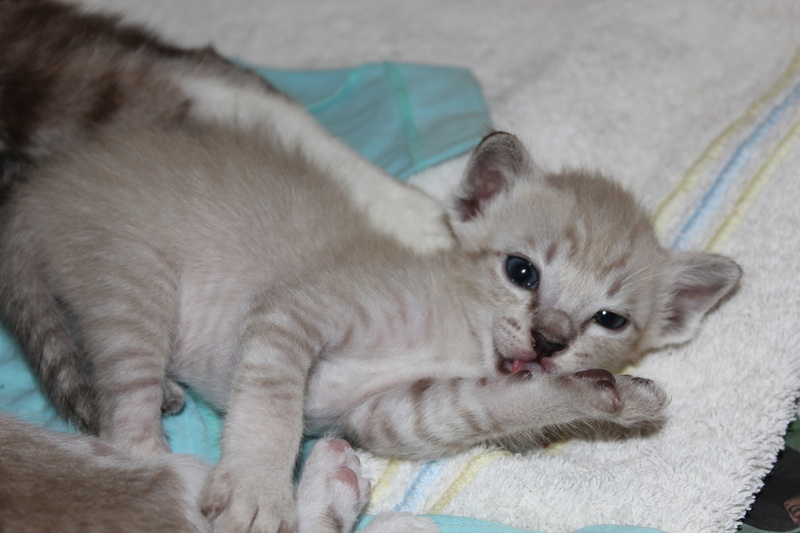 The bigger kittens are all male. The two white ones, one male and one female. 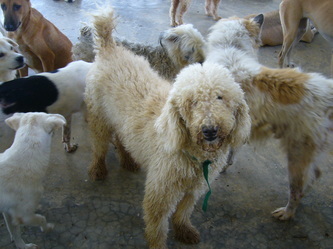 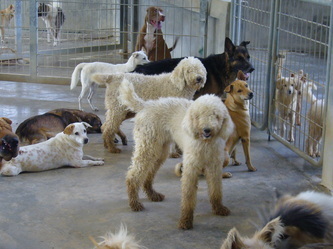 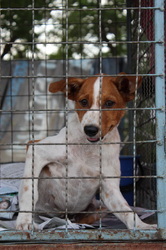 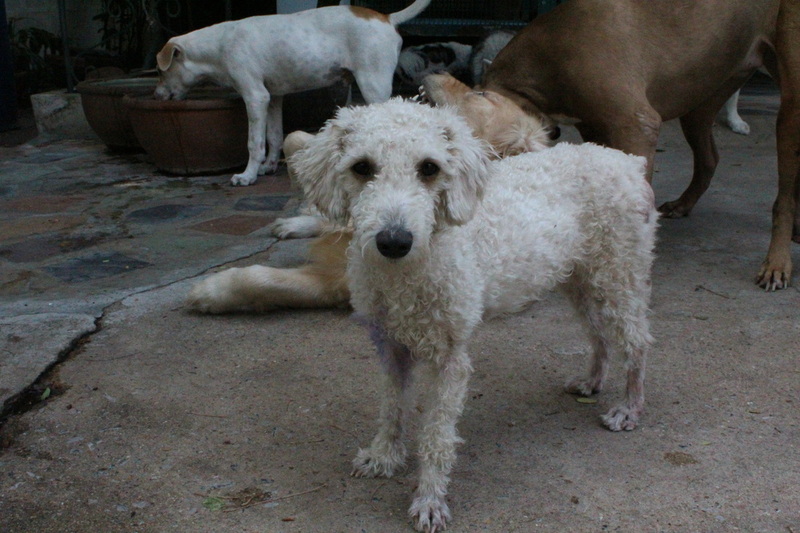 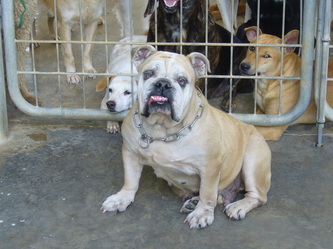 If you are interested in any of the lovely pets here, please call 089-669-1690 Carrie. 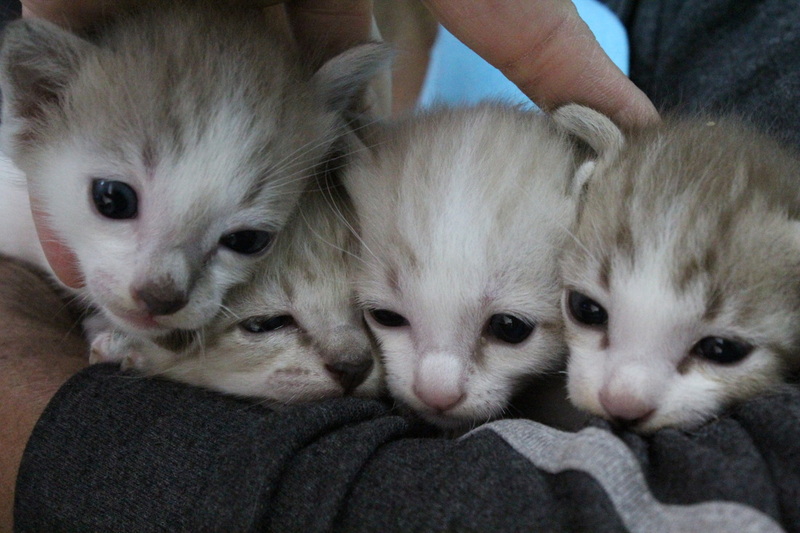 Or please fill the form below, we will get back to you as soon as possible. Looking for more pets to adopt?